Aadhaar is to be linked with mobile SIMs (subscriber identification modules) by February 6, 2018. Telecom operators are directed to complete re-verification of their customers through an e-KYC process. Quoting of Aadhaar or UID (Unique Identity Number), the 12-digit identification number issued by the UIDAI, is now compulsory for many important tasks. These include operation of a bank account, investment in small-savings scheme and, now, using a mobile connection. Aadhaar is to be linked with mobile SIMs (subscriber identification modules) by February 6, 2018. Telecom operators are directed to complete re-verification of their customers through an e-KYC process, requiring customers to produce Aadhaar card, by February 6, 2018, according to the Department of Telecom (DoT). Telecom companies have in the past months urged their customers to complete Aadhaar re-verification. Meanwhile, the Supreme Court has said its constitution bench will start hearing a clutch of petitions challenging the Centre's move to make Aadhaar card mandatory for availing various services and benefits of government welfare schemes from the last week of November. 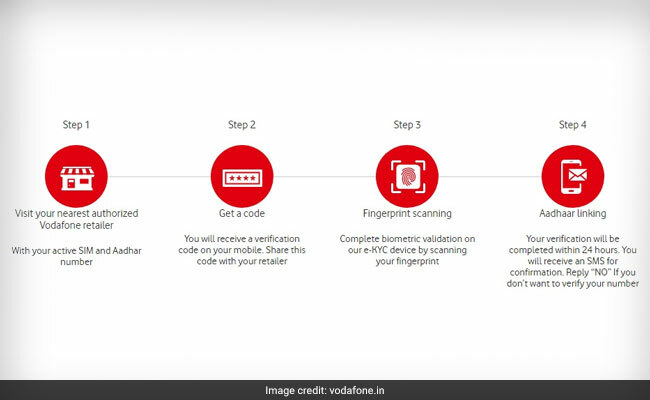 You can link your Aadhaar - the identification authenticated by your biometric details (fingerprint and iris scan) - with the mobile connection you are using by walking into a customer service centre operated by your telecom service provider. Telecom companies, including Bharti Airtel and Vodafone, have urged their customers promptly in the recent past to complete the Aadhaar e-KYC process. "Link your Aadhaar to your mobile number to stay active!" Bharti Airtel, the country's largest telecom company, said on its website - airtel.in. "As per the recent government directive, all the existing customers have to link Aadhaar with their mobile numbers. We recommend you to visit the nearest Airtel Store/Retailer with your Aadhaar number and complete this process," Airtel said. The telecom company clarified that biometric verification is required separately for each mobile number. Idea Cellular has come out with a set of steps for its customers to ensure e-KYC compliance with the Aadhaar directive. 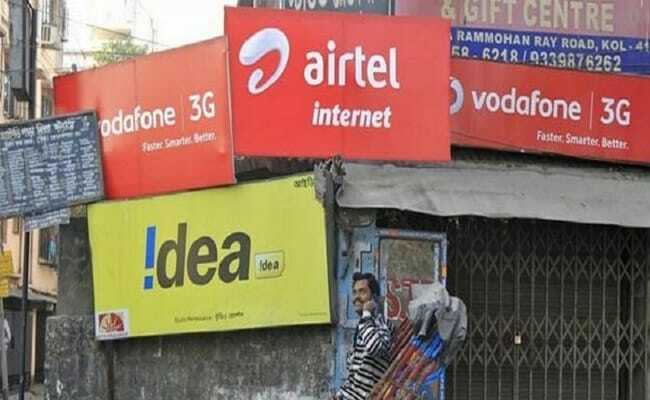 "As per the recent government directive, all the existing customers have to link Aadhaar with their Mobile numbers," Idea Cellular said on its website - ideacellular.com. The DoT has issued instructions to all operators to verify "all existing mobile subscribers (prepaid and postpaid) through Aadhaar based E-KYC process on or before 06.02.2018", Idea noted. Visit your nearest Idea centre and provide your mobile number and Aadhaar number. The subscriber will provide the verification code to Idea store executive and provide his/her biometric. After 24 hours, you will receive a confirmation SMS. Reply 'Y' to complete the e-KYC process. The government has simplified the process to link the UID or Aadhaar number with mobile number. The Department of Telecom (DoT) has introduced a new OTP- or One Time Password-based option to link Aadhaar with mobile connection. The telecom department has introduced three new methods to link the registered mobile number with Aadhaar: an OTP- or One Time Password-based method, an app-based method and an IVRS facility. Telecom operators have welcomed the move and said they would implement the new e-KYC re-verification modes soon.